Prepare with Rick! Get your survival food BEFORE any emergency by assuring you have at least 30 days of food per person in your household. Save here! 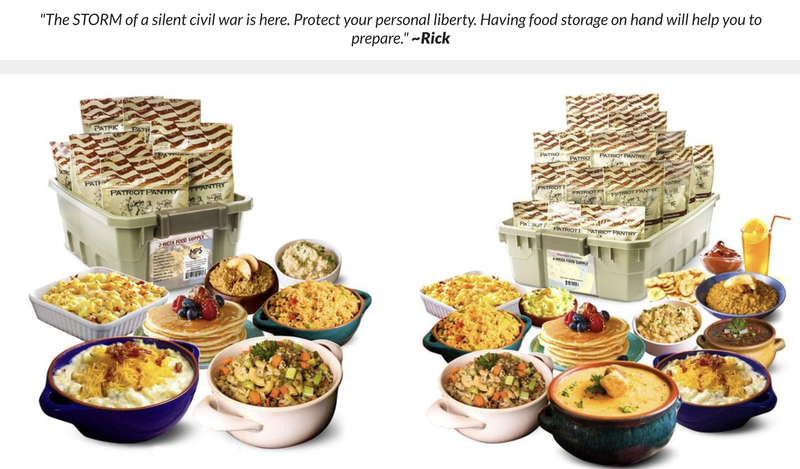 Prepare with Rick with Food Storage! 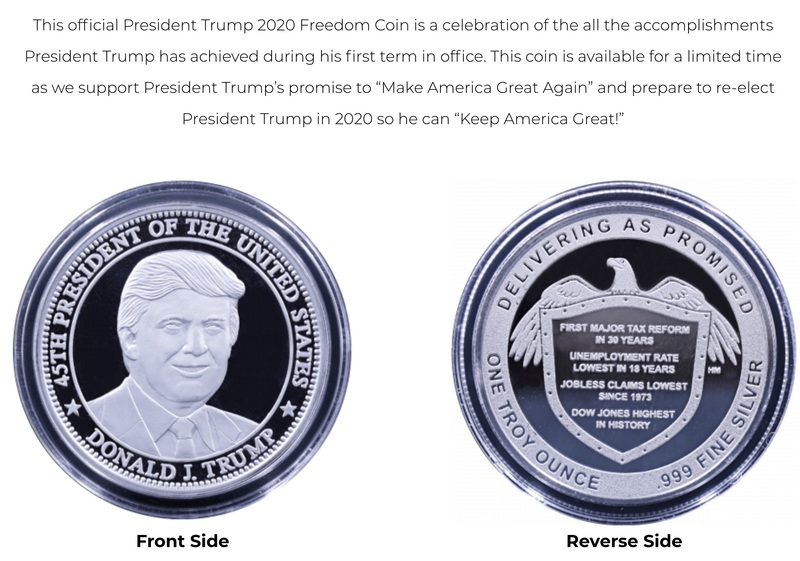 The NO CAVE Strategy: How Trump played Nancy, Chuck and the Deep State. BOOM! Massive Military Exercises At U.S. Southern Border – A Precursor To National Emergency? In today's House Armed Services Committee hearing, I questioned Under Secretary of Defense for Policy John Rood concerning deployment of U.S. military assets to America’s southern border. Under Secretary Rood confirmed that existing federal law (10 U.S.C. 284) permits President Trump to direct the military to construct a border wall without declaring a national emergency. People who follow and promote #QAnon aren’t “Russian Bots”, they are normal people from all walks of life simply seeking truth. This fake news is terrible, you can’t even summarize what Q is correctly. Now you understand the power of the USA. When players and agendas change here, the entire world goes into change as in France, Venezuela, NK, and UK among others. Found a poster that should make NPC heads explode on Abortion. Isn’t it funny normality became the new counter culture movement? You know that SUBWAY makes a great sandwich…….when you can survive a 2am beating, hanging, and bleaching, and still hang on to it! What happen to Republicans & Trump Supporters being Racist? Governor Northam just proved that Democrats are the real racist! @AOC why are you quiet ? Why are so many Democrats quiet? Are they on vacation? Apostles, Prophets, Evangelists, Preachers and Teachers, Men and Women of the Army of God! You are about to embark upon a great crusade, toward which we have striven since all of creation. The eyes of the world and all of heaven are upon you. The hopes and prayers of liberty loving people everywhere march with you. In company with our brothers and sisters in arms on other fronts, you will bring about the destruction of the satanic war machine, the elimination of the demonic tyranny over the oppressed peoples of the earth, and security for ourselves in a free world. fight savagely. BUT NOW IS THE TIME. Much has happened since the demonic triumphs of years past. The body of Christ have inflicted upon the demonic great defeats in the spiritual and natural realms. Our spiritual offensive has seriously reduced their strength in the air, and there capacity to wage war on the ground. I have given you an overwhelming superiority in weapons for your warfare, and placed at your disposal great reserves of trained fighting men and woman from the body of Christ. THE TIDE HAS TURNED. The free men and woman of my army are marching together to victory! I have full confidence in your courage, devotion to duty and skill in battle; we will accept nothing less than full victory. For this is a great and noble undertaking, AND THE VICTORY IS YOURS!